He was born in Osaka, but due to his father’s job as an engineer for the South Manchuria Railway, he was brought up in Dalian, China. from the age of two. 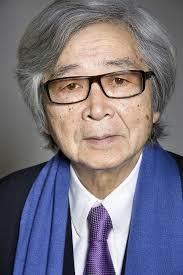 Following the end of World War II, he returned to Japan and subsequently lived in Yamagata Prefecture. After receiving his degree from Tokyo University in 1954, he entered Shochiku and worked under Yoshitaro Nomura as a scriptwriter or as an assistant director. He has won many awards throughout his lengthy career and is well respected in Japan and by critics throughout the world. He wrote his first screenplay in 1958, and directed his first movie in 1961. Yamada continues to make movies to this day.